Android app design is an unlikely focal point for tech headlines, but over the past week that’s just what has been happening. 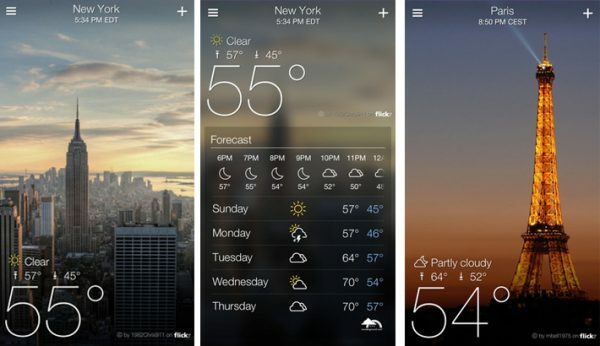 Two apps are at the forefront of the debate: Yahoo’s relaunched Weather app and an alarm clock app called Timely. Let’s take Yahoo Weather first. The app is actually quite beautiful, with nice typography and full-screen pictures for each weather location, automatically gleaned from Flickr’s archives. The widgets are great too, with a wide range available. The app’s even free – and it’s definitely worth checking out. But there’s a problem with the app. While it’s good looking, it’s not particularly intuitive, and doesn’t seem to really align with Android’s app design guidelines. Of course, these guidelines are just that – not hard rules – but even so, a fierce debate has sprung up about the app’s design. The app’s full-screen nature is one element that detractors point to, as is the non-standard use of icons and other elements that seem more at home in iOS than Android. On the other side of things we have Timely, that alarm clock app I mentioned earlier. Now this app is also beautiful – with vibrant digital backdrops, excellent typography and tightly tuned animation everywhere. It’s nice enough that you could easily find a desk stand and just keep the app open at all times. 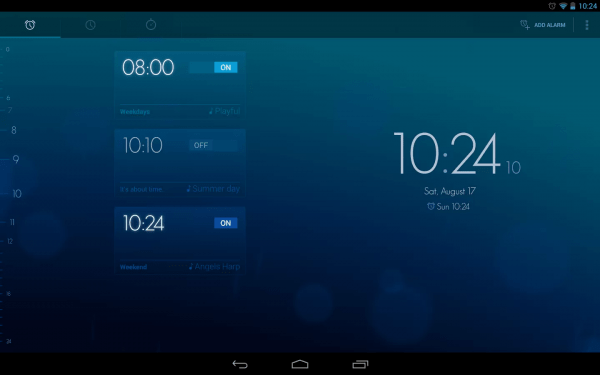 But where Timely excels is that it makes use of existing Android designs in order to provide a more intuitive experience. Alarms can be swiped away to be removed, and actions can be made on selections via an action bar at the top. Ultimately, both apps are worth checking out, but I personally find that Timely is the better design landmark. It’s rare to find an app that’s both beautiful and easy, and Timely’s use of Android standards definitely allows that strength. What do you think? Use both apps if you haven’t and then let me know your thoughts in the comments below. Thanks for reading the article and have a good one!